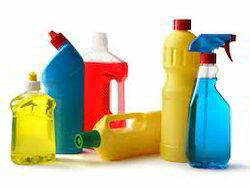 Sujan Chemoplast Private Limited is a manufacturer, trader, exporter, service provider and supplier of chemical products for textile industries and distillation. For more than a decade we have been providing quality services and products to esteemed clients across the globe. Sujan Chemoplast Private Limited was established in 1997 by Mr. Rohit Mehta with just a handful of employees and a single facility in Mumbai. Starting with textile chemicals we diversified into providing distillation services by setting up our first plant in 2000. We have built a reputation of being the leaders in providing superior products and services. Our Director Mr. Sujan Mehta with our Technical Director Mr. Vatsal Oza has been taking forward the company's growth with expansion in our capacity and for higher production turnover. Our extensive and varied product range for distillation includes Solvents used in pharmaceutical industries, Aromatic products and Amines, all of which require special attention and experience for handling. We have always believed in leading our growth in the competitive market by providing Consistent Quality with Commitment.